Magnum will help you design a building for your equestrian needs and has built a number of configurations. 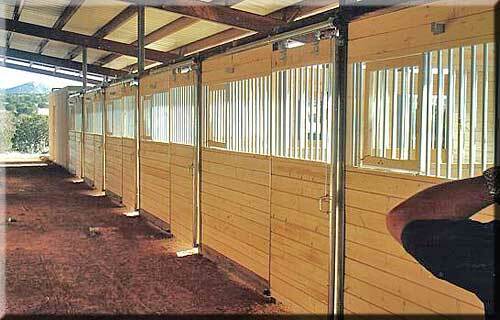 We are capable of designing and constructing buildings from barns, stalls, wash bays, tack rooms, to riding arenas. We have designed numerous different stalls and riding arenas for our customers. We are always aspiring for new and different customer designs. Magnum will always put our customers design needs into each project.